Five protestors were arrested after people blocked the women’s path near Neelimala, and staged a sit-in. 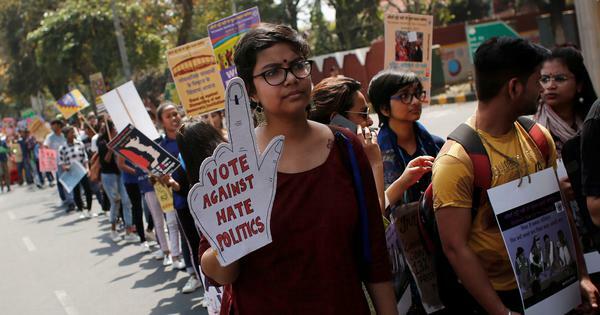 Protests erupted near the Ayyappa temple in Kerala’s Sabarimala on Wednesday morning when two women, reportedly in their 30s, attempted to enter the hill shrine, reported NDTV. The police escorted the women back to Pamba base camp after protests intensified, according to Manorama Online. The two women, Reshma Nishanth and Shanila Sajeesh, were part of a nine-member group that began trekking to the temple around 4.30 am. According to Mathrubhumi, a group of people recognised the women near Neelimala, and started chanting mantras. People blocked their way by staging a sit-in protest, forcing the police to arrest five protestors. The two women were reluctant to return without offering prayers, but police personnel accompanied them back to Pamba base camp as protests mounted. The women said they attempted the trek after the police promised them protection, reported the Hindustan Times. One of the two women asked why the people were protesting even though “Ayyappan [the deity] has no objection to women entering the temple”. Reshma Nishanth told Mathrubhumi that she attempted to enter the shrine after fasting for 103 days. 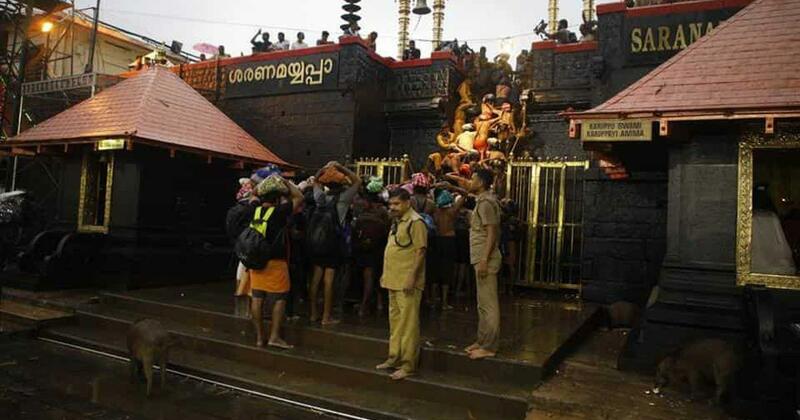 Kerala’s Temple Minister Kadakampally Surendran said preventing the women, who had reportedly followed rituals and fasted before the pilgrimage, from entering the shrine was “really deplorable”. Since the government did not want to create a scene, the police took utmost restraint in handling the protestors, he added. “We don’t need any certificate from Prime Minister [Narendra] Modi, whose party is on a mission to annihilate people in the name of the cow,” Surendran said, referring to Modi’s comments a day earlier where he accused the Left Democratic Front government in the state of “the most shameful behaviour”. Kerala: Two women on their way to #SabarimalaTemple stopped by protesters at Neelimala. Police at the spot. More details awaited. Rahul Easwar, president of the Ayyappa Dharma Sena, tweeted that stopping the women from entering the temple was a “victory for Hindu resistance”. He alleged that the women were accompanied by “some Leftists”. On Tuesday, Kanakadurga – one of the two women of menstruating age who entered the temple on January 2 – was allegedly assaulted by her mother-in-law after she returned home. Massive protests had prevented dozens of women from entering the shrine until January 2, when Kanakadurga and law lecturer Bindu Ammini visited the temple. The women made the attempts after the Supreme Court, in September, struck down the age-old tradition of not allowing women of menstruating age enter the shrine.